This week I spoke with Lamina Studios Founder and Dungeon Souls Executive Producer, April Poland to talk about her Early Access title Dungeon Souls. 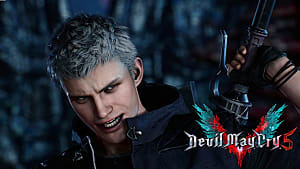 As the team's Project Manager, April works alongside Lead Developers Diogo Braga and Carlos Vila Vasquez (who is also a Game Designer) to bring the Rogue-like title to gamers everywhere. We talk about how the game came to be and how to break into the Indie Gaming Industry. Lamina Studios is known for its Indie game, Dungeon Souls. In the game, you can choose to play as 5 different types of heroes and fight your way through ever-changing dungeons in order to escape. The dungeons always change so no adventure will ever be the same! Megan Campbell: How long did it take for you to complete the demo release for Dungeon Souls? April Poland: Development of Dungeon Souls was developed in early 2015 and the demo was released in April 2015. It took three months to develop the game before it was uploaded on Steam. MC: With all the hype behind Pokémon Go, it seems everyone is getting into mobile gaming. What opportunities do you think this poses for the Indie-Gaming industry? AP: Having the game available for mobile devices opens more opportunities--especially for indie game developers. This means that we can reach out to a larger audience and will help the game to be recognized and played. MC: How does your game differ from the other Rogue-like titles? 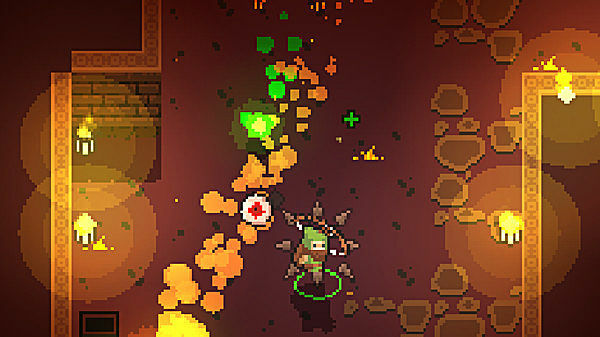 AP: Dungeon Souls is inspired by several games such as Nuclear Throne, Binding of Isaac, Overture, and some other elements taken from Dark Souls and Spelunky. 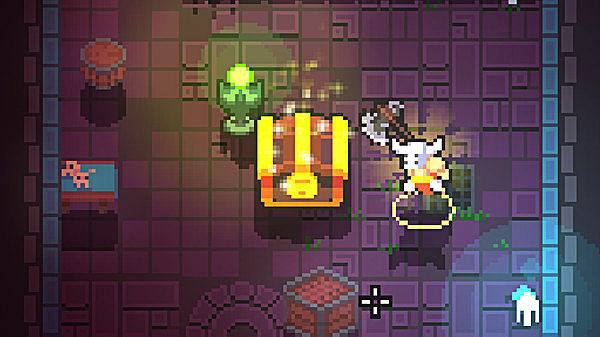 Despite inspirations drawn from other games and its title, Dungeon Souls brings a different level of fun and enjoyment as well as its pixel art, unique abilities, skills of characters, and procedurally generated random levels making Dungeon Souls different from the other roguelike titles. MC: How were you able to get this project greenlit on Steam? AP:Dungeon Souls was uploaded on Steam on July 2, 2015 with the help of our publisher, Black Shell Media. 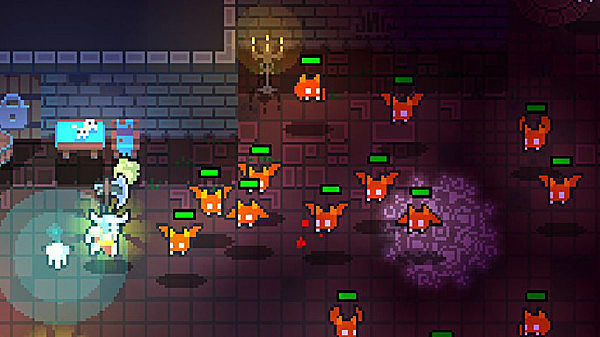 However, Dungeon Souls went live on Early Access immediately. According to our publisher, the game is ready for Early Access and is already playable. MC: Any advice for those trying to get into the Indie-gaming industry? AP: We make sure that we take care of four things: the community, our partners, the game, and the team. We have to keep communication going with the community, as well as with our partners, because they give us valuable inputs that we can use to improve our game. We solicit feedback, comments, suggestions which are very helpful. We try to give as much thought and time to the game, we spend a lot of time brainstorming so we can make the best out of the resources we have to make the game the best that we want it to be. Most of all, without our team nothing will be possible. We are a small team; however, we make sure that we are communicating effectively and supporting each other no matter what role we delegate. I would like to thank April for taking time out of her day to answer these questions. If you want to learn more about Dungeon Souls, you can check out the official website, Twitter, and purchase the game on Steam.